Born in Oxford, England, in 1993, Ed Tullett is a prolific producer and songwriter. Recently, Tullett has been working with Jemima Coulter, amongst others, on their collaborative open-ended project Hailaker. Their first two songs, ‘Rainmaker / Earthbound‘, were released October 2018, with an album to follow in 2019. 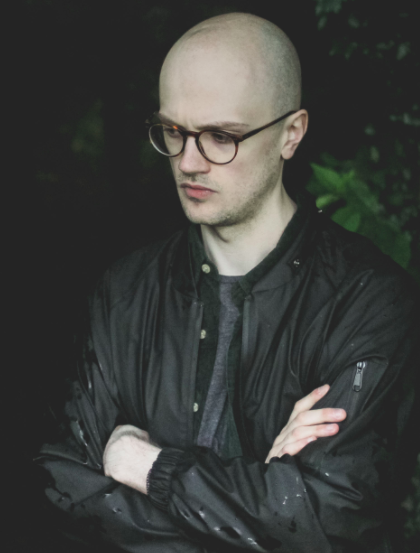 Tullett’s work includes ‘Heiress‘, a 2017 collaborative record with Welsh alt-folk artist Novo Amor, after their singles “Faux” and “Alps” in 2014 and 2016 respectively. He also co-writes most of Novo Amor’s solo material, including his full debut album ‘Birthplace‘, released October 2018. In August 2018, ‘Lissom‘, a collaborative album with French pianist Julien Marchal was released.